Curious as to how ugly interesting TouchWiz would make Google’s Android L? 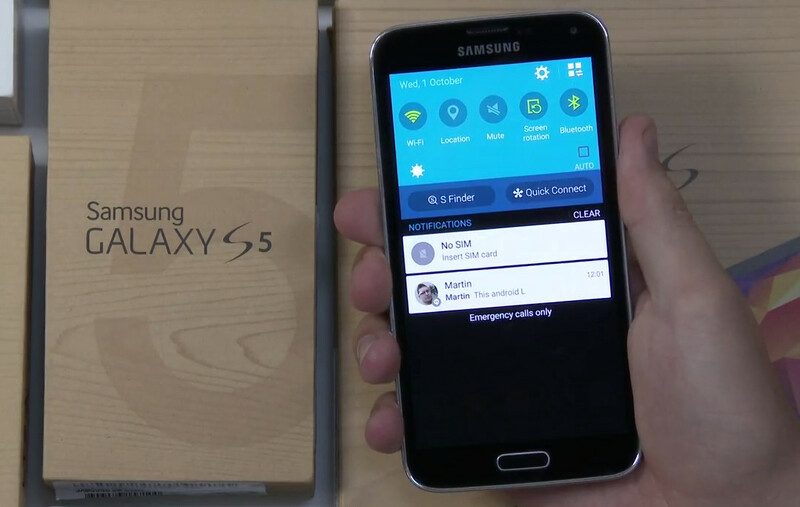 We now know, thanks to an 8-minute video preview of Android L running on the Galaxy S5, courtesy of SamMobile. The video shows an early build running on the SM-G900F model of the GS5, filled with well, much of the same TouchWiz you already see on a daily basis. Samsung has taken on the new Android L lock screen, revamped the notification shade, and re-skinned a whole bunch of Samsung pre-loaded apps (and damn, there are a lot of them), but that seems to be about it. You will notice that their 1999-inspired icon theme, stock clock, and home screen layout have not changed. And look, it’s not that Samsung needed to completely re-do all that it knows and has had success with, but couldn’t we get a fresh start with Android L? Maybe we will in a stable release. The leaked build is not being made available as it is apparently too buggy and laggy for daily use. Wait, lag in TouchWiz? Never! Might as well just release it if lag is an issue – Galaxy owners know lag all too well with their stable Kit Kat builds.